Fox News devoted a total of 42 seconds to the story the day King’s comments were published. 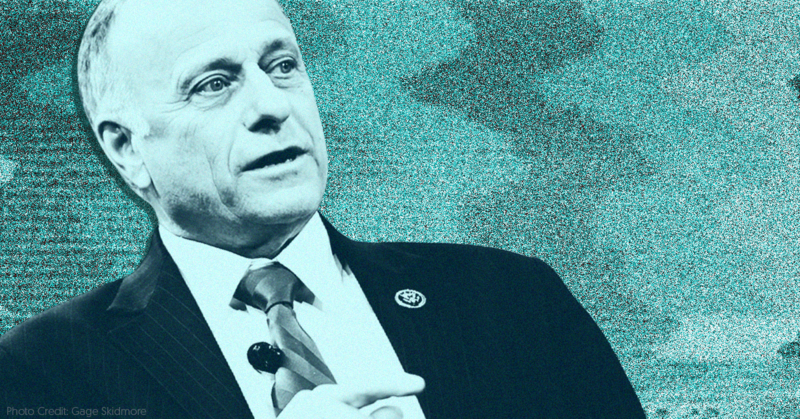 The sole segment, which was on Special Report with Bret Baier, was framed as “Republican Congressman Steve King is fighting back against a New York Times article,” referring to a statement King released after the piece came out. CBS Evening News and ABC World News Tonight did not mention King. CNN ultimately covered King’s comment the most out of all the cable news networks on January 10 (nearly 11 ½ minutes). But the network didn’t mention King until after 9:30 p.m.
MSNBC, which was the first cable network to report on King’s comment, discussed the congressman for just over seven and a half minutes on January 10. During MTP Daily, which was the first cable news show to mention King, the conversation was largely framed around horse race politics and what this would mean for King’s re-election chances rather than the substance of what he said. The show didn’t even mention what King had said until nearly the end of the segment. Update (1/13/19): The Sunday following King’s comments, only three of the five major Sunday political shows addressed the remarks: ABC’s This Week, CBS’ Face the Nation, and NBC’s Meet the Press. The anchors of those three shows each asked one congressional Republican guest about the comments in interviews, and CBS’ Margaret Brennan also discussed the comments with her panel later in the show. CNN’s State of the Union and Fox Broadcasting’s Fox News Sunday did not mention King’s comments at all.